Infidels is a pretty good Bob Dylan album, but even a brief review of the supporting material is enough to show that it could have been one of his best ever. While it might never have been the 1980s version of Blood on the Tracks or Blonde on Blonde, this might have been a top five Dylan album had the right choices been made. But they weren’t. 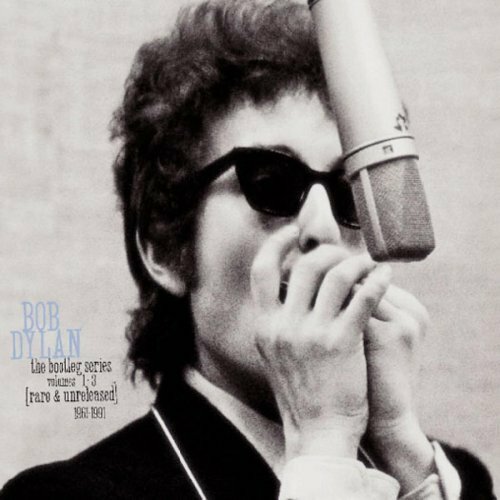 The strength of the Infidels sessions is probably best demonstrated by Bootleg Series Volume 3, on which can be found five – count ‘em – five! outtakes from this album. Each one of those may be better than everything that is actually on the album. 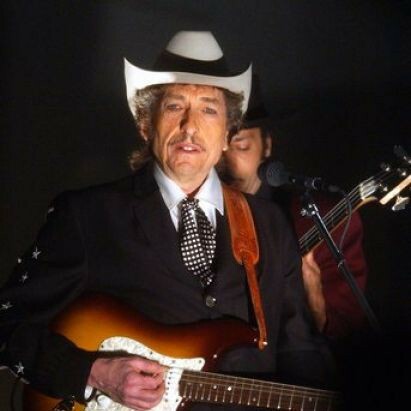 If you combined the four good songs (“Jokerman”, “Sweetheart Like You”, “Man of Peace”, “I and I”) on Infidels with the five songs on BSv3 and released it it would have been not just the Bob Dylan album of the 1980s, but one of the best albums of that decade, full stop. Of course, it was not to be. I’ve written a couple of times about how Dylan doesn’t seem to always be the best judge of what is the best Dylan material, but it is really apparent here. The stories say that the musicians and technicians on Infidels were shocked by his track selection, and, indeed, he seems to have dramatically overhauled it after Mark Knopfler left to tour with Dire Straits. This has led to a lot of “what might have been” scenarios in the bootleg circles. One of the better bootlegs out there is Outfidels Intakes. First of all, to the bootlegger: Well-played on the name. That is awesome. Second: this is a two disc set that attempts to a) recreate the Knopfler version of the album, and b) collect some of the better outtakes (including a collection of “Sweetheart Like You” attempts strung together into one track). This double-CD is significantly better than Infidels. Unbelievably, you can download almost the entire thing here (whomever has posted this has opted not to upload the songs that were used elsewhere on commercial releases). Let’s move through Outfidels and Bootleg Series 3, then. Putting this on Infidels would have improved the album, but it also would have made Empire Burlesque that much worse. Sort of a toss-up from that standpoint. Second: “Tell Me” is a Tex-Mex love song. It’s a better love song than “Don’t Fall Apart On Me Tonight”, although the over-emphasis on the slide guitar would make is seem a bit out of place on the album. Good song, but not essential. I really think that this is a great song, and it is one that I would like to learn on the banjo. It’s scathing, blistering stuff. This would have easily been the best track on the album, and one of the two or three best songs that Dylan would produce in the decade, but he left it off the album. I really, really don’t get that choice. This one is essential. This is another great song, that should never have been bumped off of Infidels. 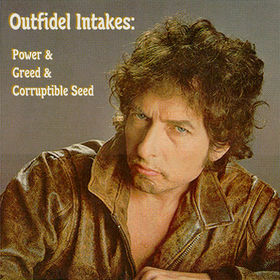 Outfidels Intakes includes a number of additional outtakes that aren’t included on Bootleg Series 3. One of them I quite like: “Angel Flying Too Close to the Ground”. In some ways you can see why it was abandoned – it seems a bit like a love song that almost anyone could have written, and lacks the Dylanesque touches, but I still think that it is far superior to something like “Don’t Fall Apart on Me Tonight”, which also sounds like anyone could have written it. The worst track on Outfidels, maybe one of the worst things Dylan ever recorded, is “Julius and Ethel”, a “tribute” to the Rosenbergs. Look, I’m on the side that says that the Rosenbergs probably weren’t guilty, and I definitely do not believe that they should have been executed as spies. That said, the least appropriate tribute possible seems to be a rocking out tune in which Dylan yells “Julius and Ethel” repeatedly as the chorus. Also, some horrible rhymes in this one. Just awful. So, to sum up: take half of Infidels, add four songs from Bootleg Series 3 (leave off “Someone’s Got a Hold of My Heart” for Empire Burlesque), and you’ve got an unbelievably awesome album. Definitely a top five contender. Instead, he released an album that’s about a B+. Bummer. You are wrong about “Don’t Fall Apart on Me Tonight”; it has a Dylanesque touch: What about that millionaire / With the drumsticks in his pants?